« Shop Online at Bridal Styles Boutique! 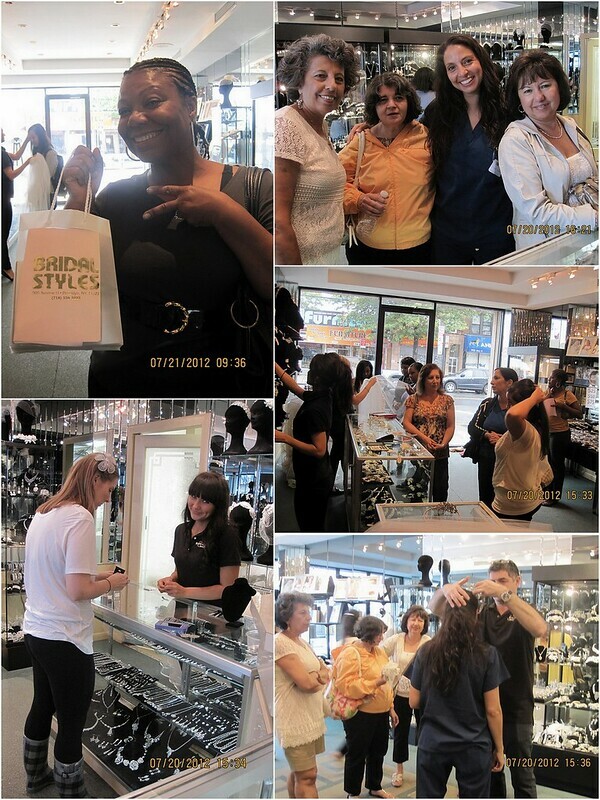 The Bridal Styles Summer 2012 Sample Sale was such a whirlwind! Our first day, July 20, dawned grey and soggy, but that didn’t stop brides from coming in. 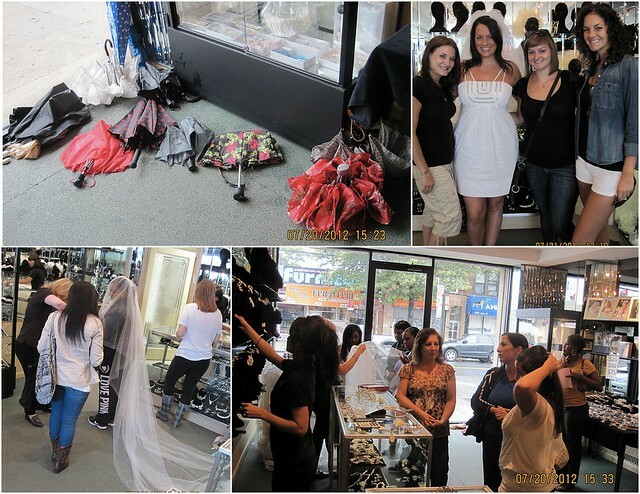 They marched through the downpour, deposited their umbrellas at the door, and strolled into the Bridal Styles showroom. 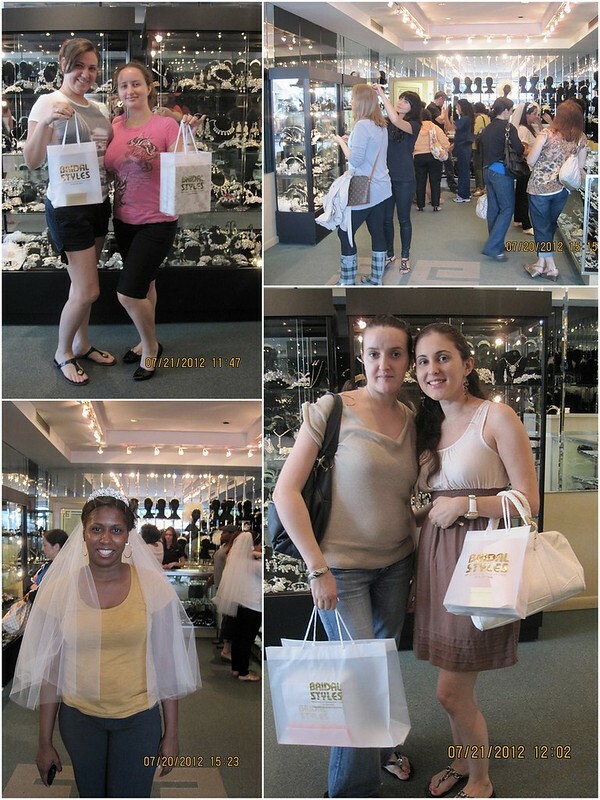 Luckily, the Bridal Styles team arrived bright and early at 9am to receive all the women who were ready to find their bridal headpieces, jewelry, veils and accessories! 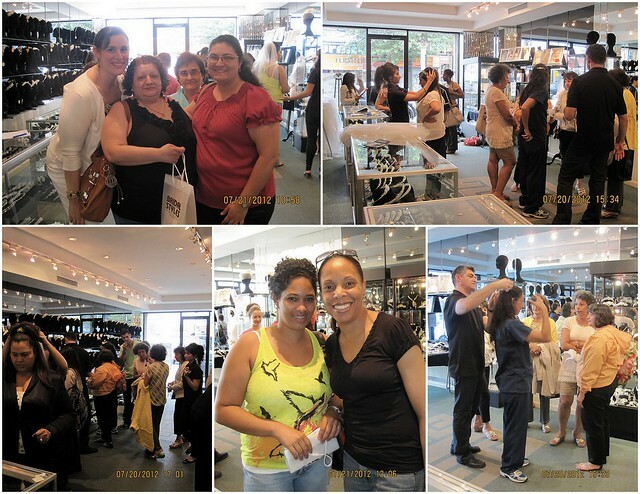 All weekend, girls from as far as Maryland drove in for the event, bringing along sisters, friends, and bridesmaids. After awhile, there were so many brides that everyone started helping each other. Watching everyone enjoy themselves, along with catching up with the familiar faces of our past brides (there to help their siblings and friends), was such a delight! We’re thrilled for everyone that found the gorgeous bridal jewelry, veils, headpieces and accessories of their dreams. Thank you all for making the trip to come see us, especially in the rain. If you missed this summer’s event, don’t worry, the next Bridal Styles Sample Sale will be this winter! For details, follow us on Facebook or visit our blog, and in the meantime, you’re welcome to come see us at our Brooklyn bridal accessory boutique! This entry was posted on Thursday, August 2nd, 2012 at 12:45 pm	and is filed under Events. You can follow any responses to this entry through the RSS 2.0 feed. You can skip to the end and leave a response. Pinging is currently not allowed.